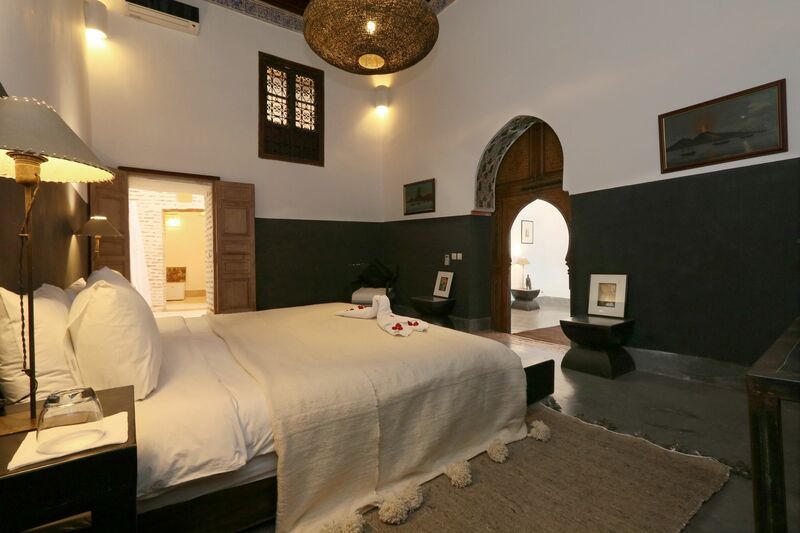 Dar Zelda is an early 19th-century wealthy merchants’ house. 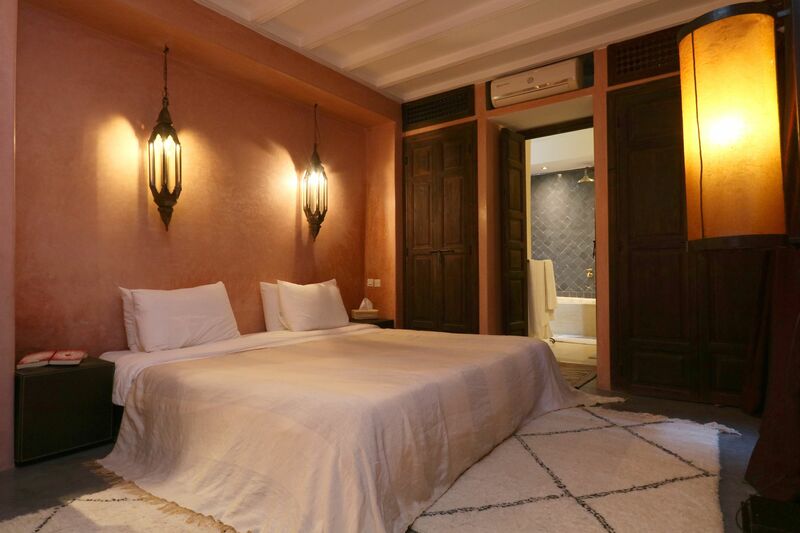 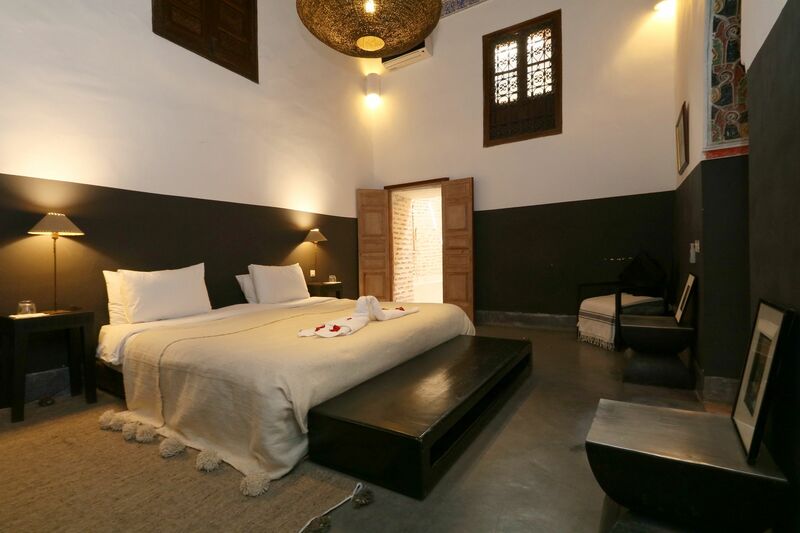 The riad’s design is in the New Moroccan Style: a subtle mix of pure architecture, sleek lines and artisan-crafted woods, forged iron and silks. 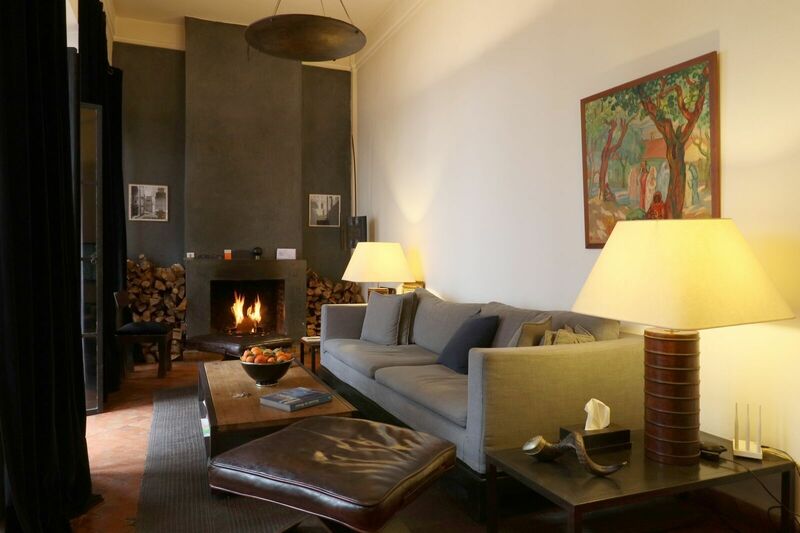 Eclectic antiques, beautiful rugs and fine furnishings from non-conformist artists. 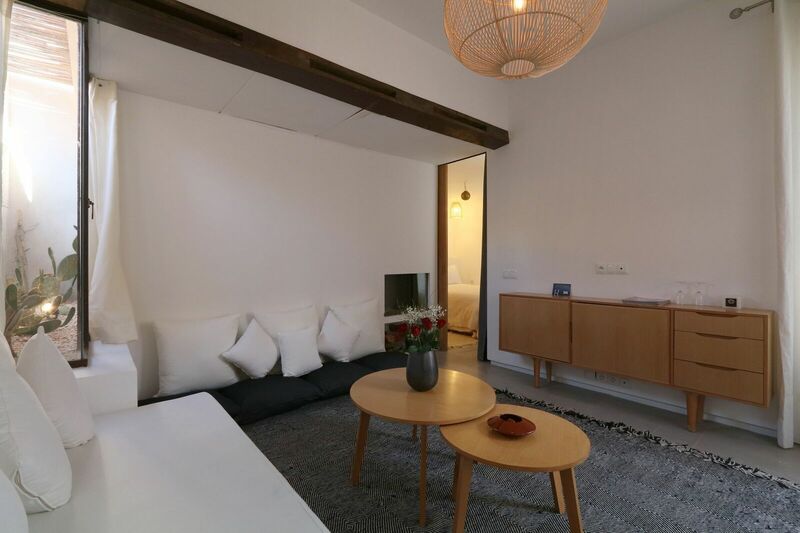 1100m2. 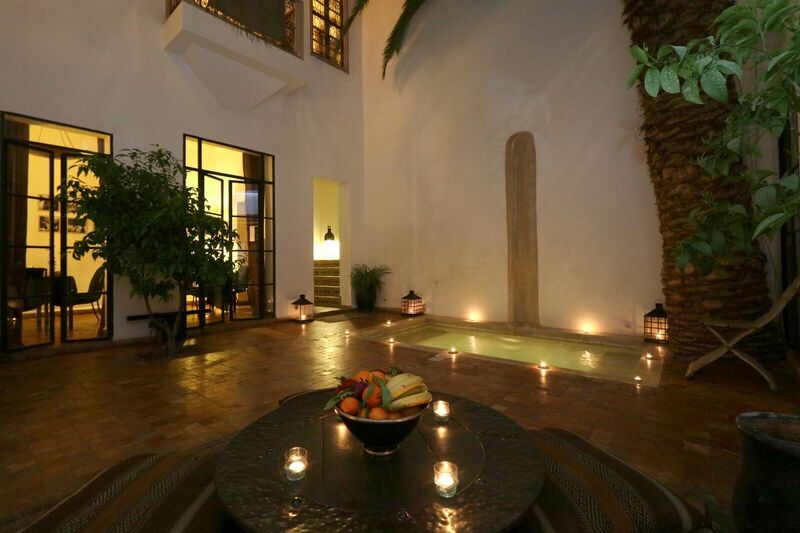 Heated pool and large, roof-top jacuzzi. 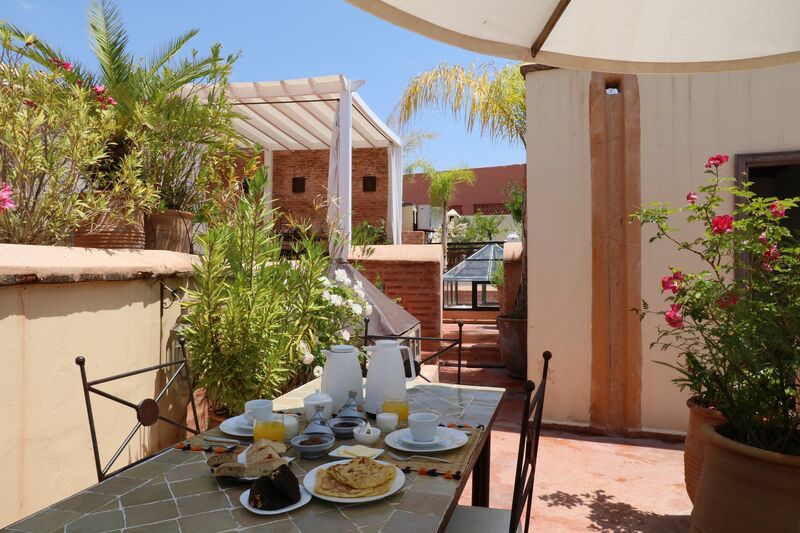 At the Riad Dar Zelda the superb level of calm, service, food and environment has all been transposed on a magic carpet to Marrakesh! 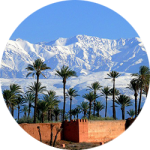 Your hosts, Michel and Jamal, are veritable fountains of knowledge of the city: the trendiest restaurants, the most romantic venues, the best excursions, guided tours, reservations for spa. 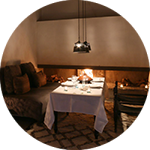 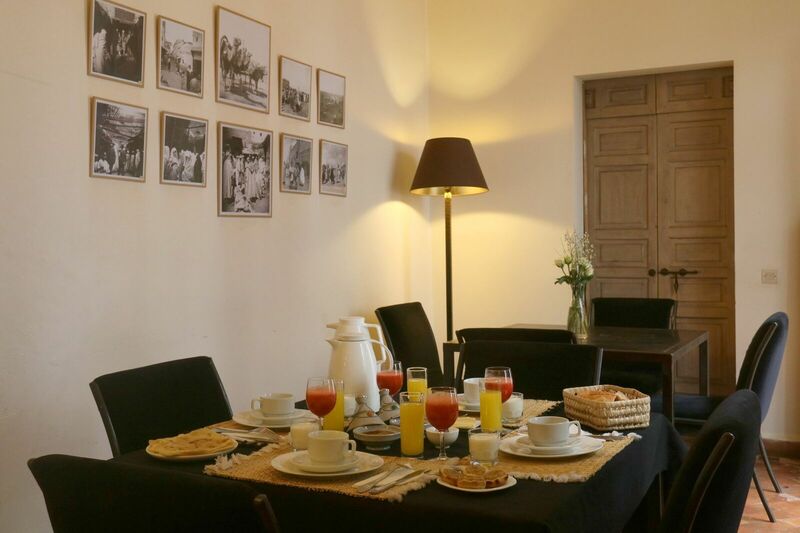 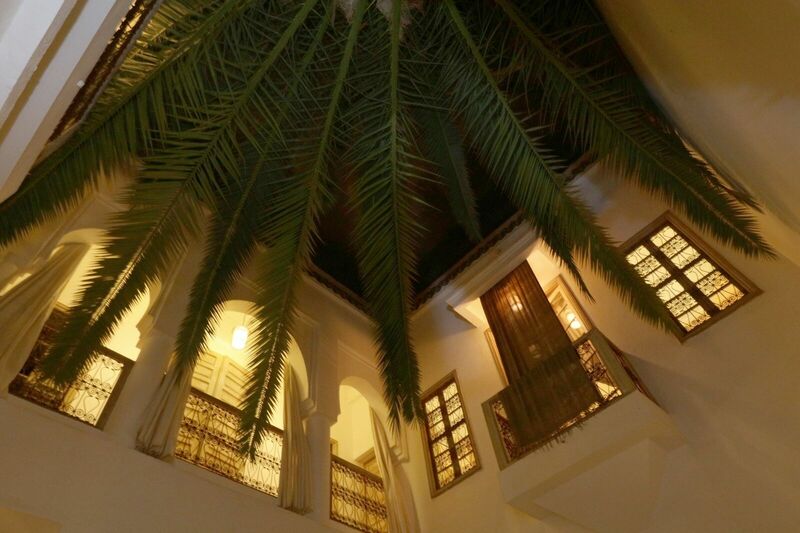 Comfortable and cozy, you will find calm and relaxation in the many common lounges and dining areas, after the chaotic magic of the souks, palaces and museums of the Medina. 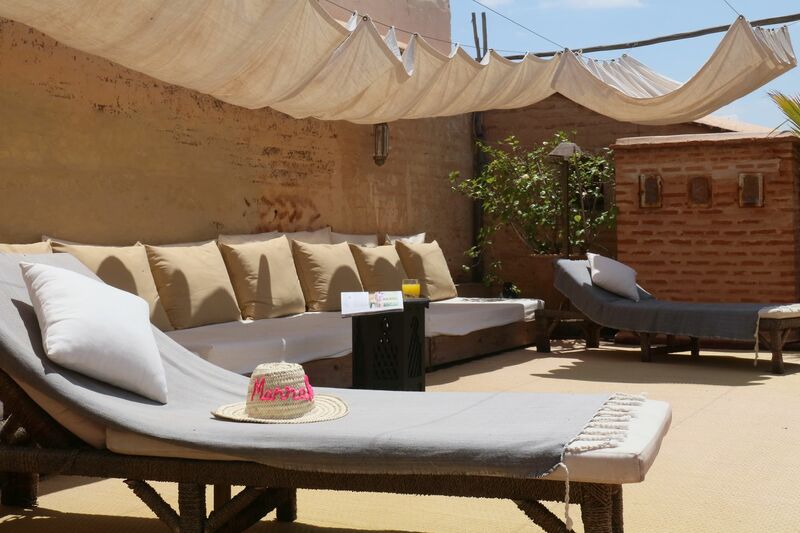 Our Moroccan lounge areas are arranged around the flowered, tree-lined patio. 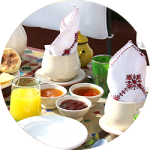 … for your lunches or dinners. 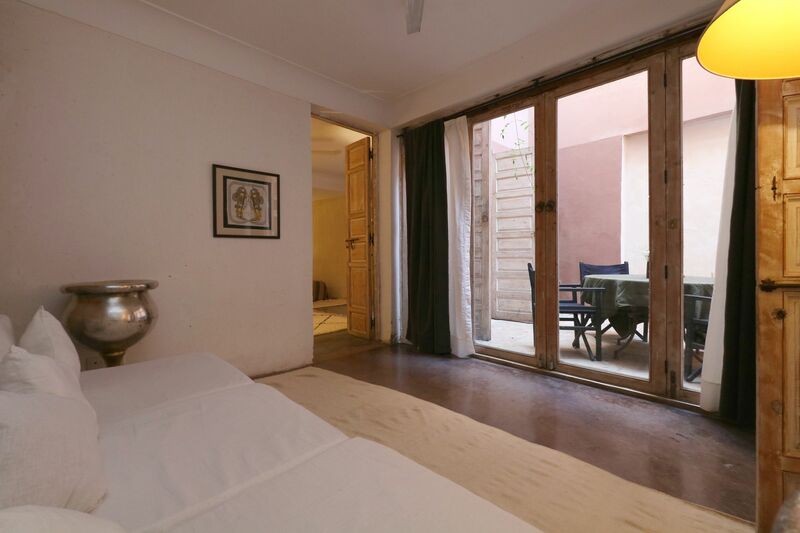 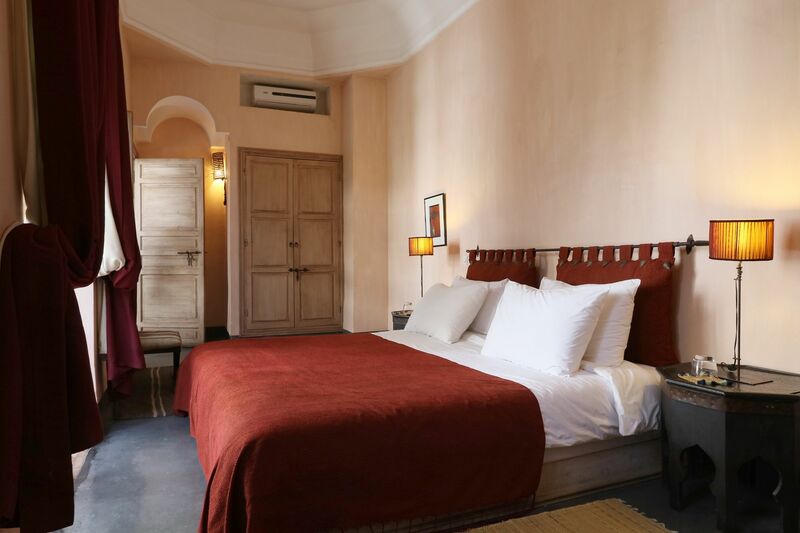 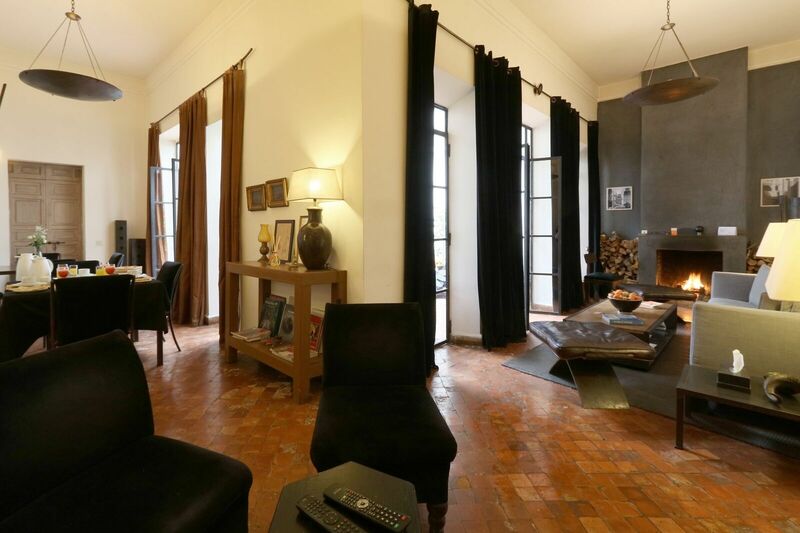 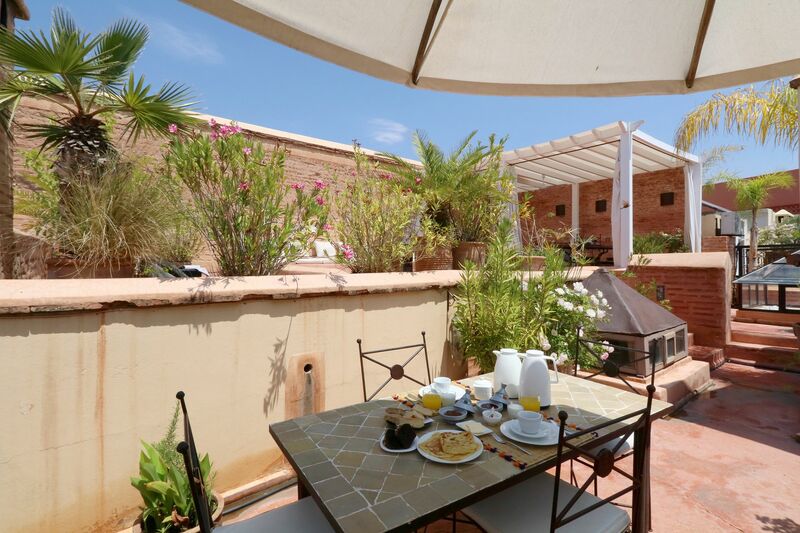 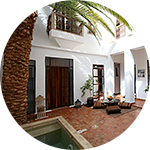 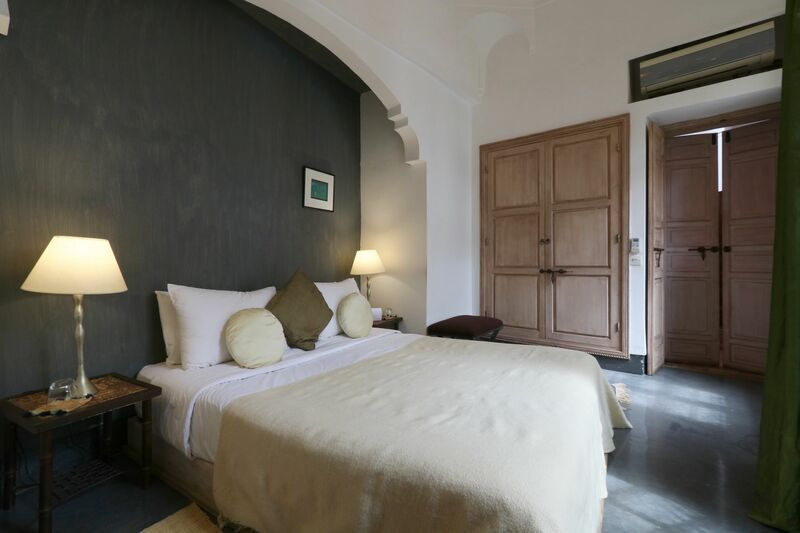 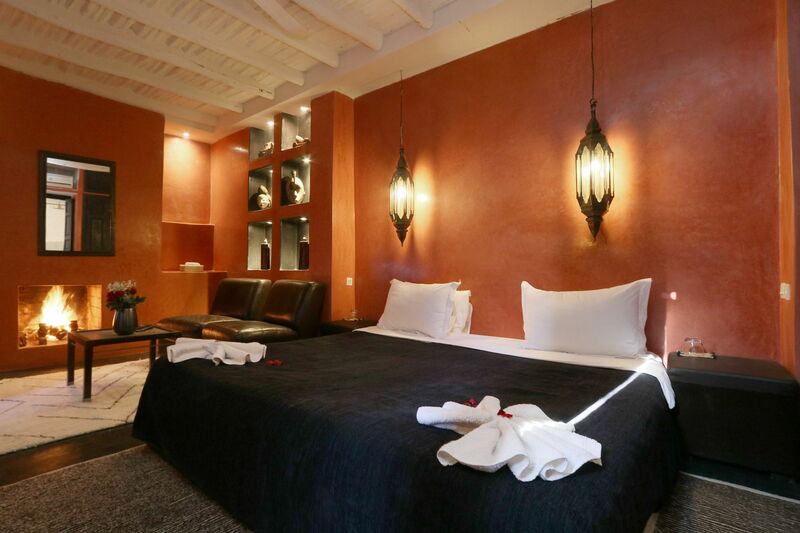 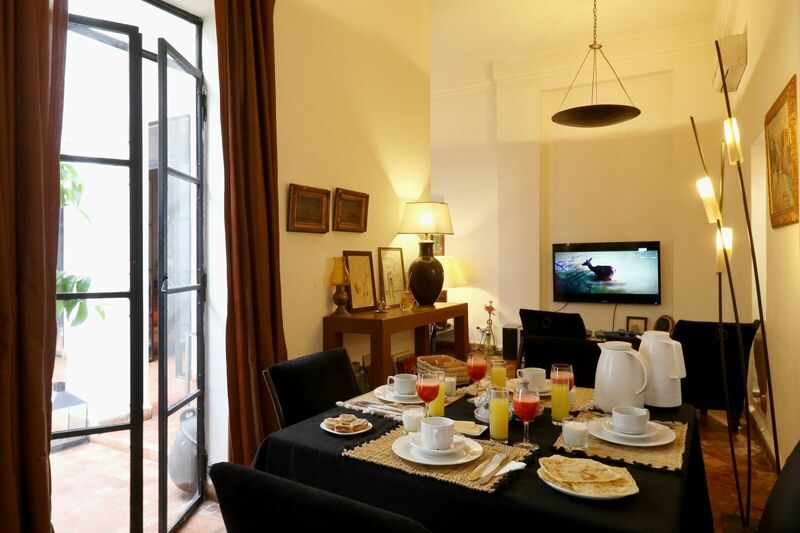 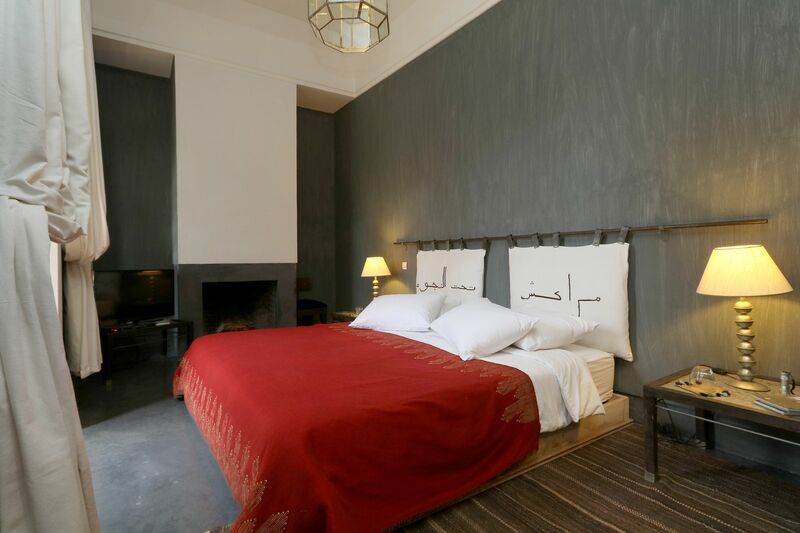 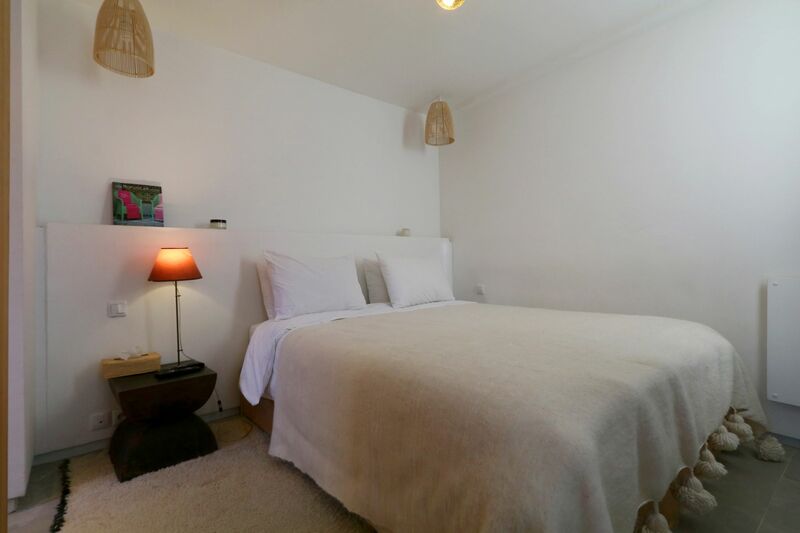 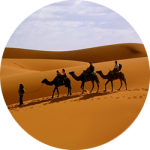 The Riad Zelda is located in the heart of the historic centre of Marrakesh, close to the souks, the Place Djemaa El Fna (10 minutes), the Medersa Ben Youssef (a must to visit;in all the guides), the Museum of Marrakesh and the Maison de la Photographie…on the same street! 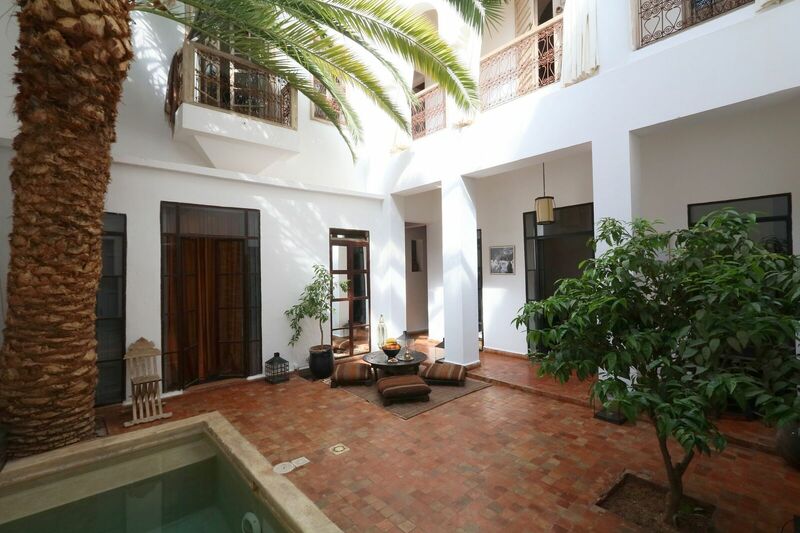 Riad Zelda’s neighborhood is the oldest area of the Medina, the quarter of the Great Foundouks (old auberges/inns used by the caravans on the Silk Roads of Africa). 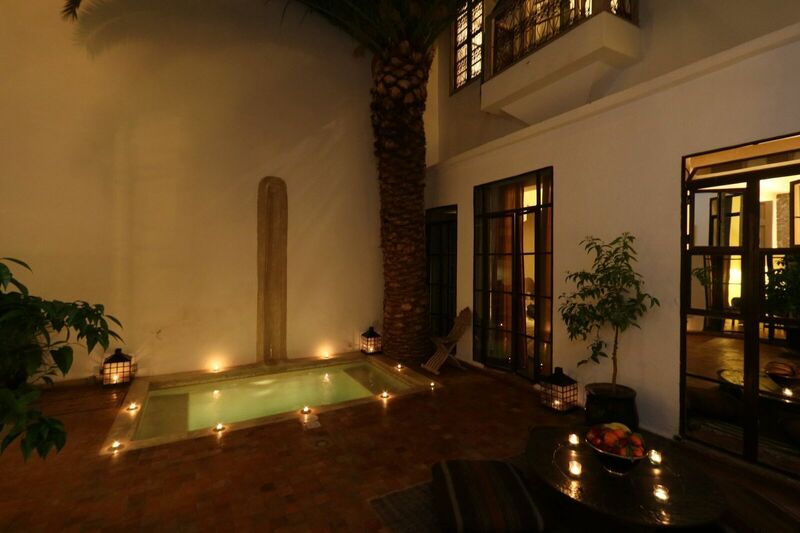 There is a very nice, not too pricey spa, Le Spa Farnatchi, at just 100 metres from Dar Zelda. 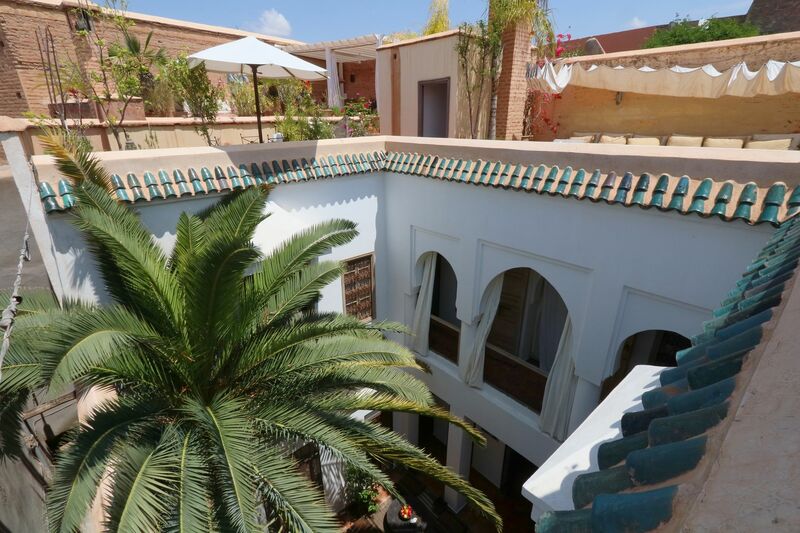 There is a guarded parking lot just 400 metres from Dar Zelda, right near the Place Mokef.